50 Feet Of South Beach And Only 45 Minutes To Downtown Vancouver! 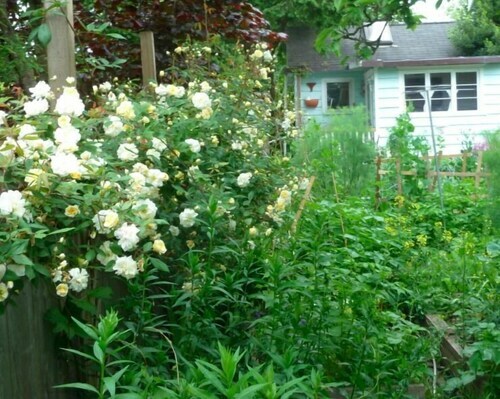 Situated on the beach, this property is within 6 mi (10 km) of Tsawwassen Mills, Boundary Bay Regional Park, and Splashdown. Tsawwassen Ferry Terminal and Centennial Beach are also within 9 mi (15 km). Waterfront Home Directly on Beach! 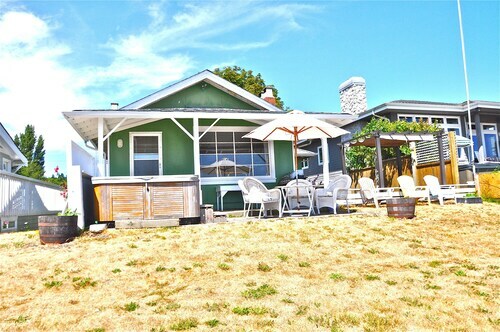 Beautiful Beachfront House in Point Roberts! 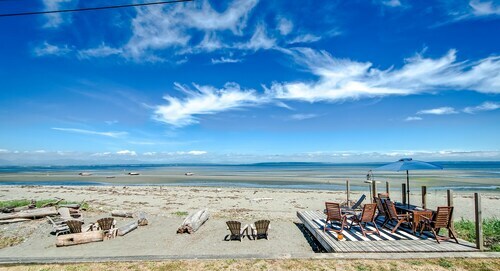 Situated on the beach, this vacation home is within 6 mi (10 km) of Tsawwassen Mills, Boundary Bay Regional Park, and Splashdown. Tsawwassen Ferry Terminal and Centennial Beach are also within 9 mi (15 km). Situated in Point Roberts, this vacation home is within 9 mi (15 km) of Tsawwassen Mills, Tsawwassen Ferry Terminal, and Boundary Bay Regional Park. Splashdown and Centennial Beach are also within 9 mi (15 km). 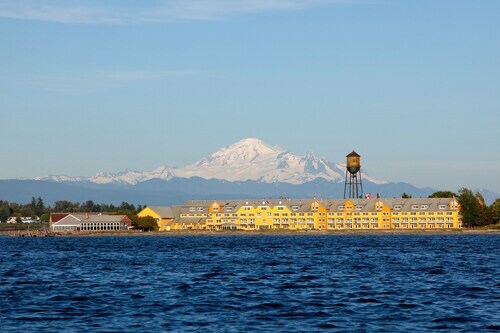 Located by the ocean, this family-friendly resort is within 6 mi (10 km) of Tsawwassen Mills, Splashdown, and Boundary Bay Regional Park. Centennial Beach and Delta Museum are also within 9 mi (15 km). How Much is a Hotel Room in Point Roberts? 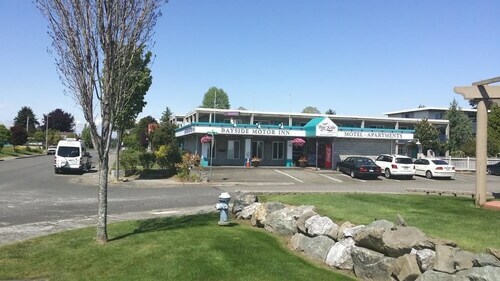 Hotels in Point Roberts start at per night. Prices and availability subject to change. Additional terms may apply. Pack your bags—it’s time to embark on a getaway. Whether you’re craving a solo retreat or promising your family a vacation to remember, book one of the best hotels in Point Roberts. These hotels are located within easy access of the city’s hottest attractions and entertainment, so you won’t miss a beat while you’re in town. Spend the days exploring the local landmarks and the evenings getting to know the nightlife. After exploring the city from top to bottom, rest up at a hotel that speaks to you. Find the perfect place that matches your trip’s vibe, from a trendy boutique to family-friendly accommodations. Allow us here at Travelocity to pair you with up Point Roberts hotels that suit your vacation preferences. Discover places with convenient on-site restaurants, around-the-clock service, and pools where your kids can make a splash. Some hotels may boast fitness rooms and spa services, while others feature game rooms and Wi-Fi access. To top it all off, you’ll score cheap hotels in Point Roberts that let you spend more on your activities and less on your lodging. Book and bundle your flight and hotel deals together today and save up to $537. It’s time to explore a new city, and break out of your routine. 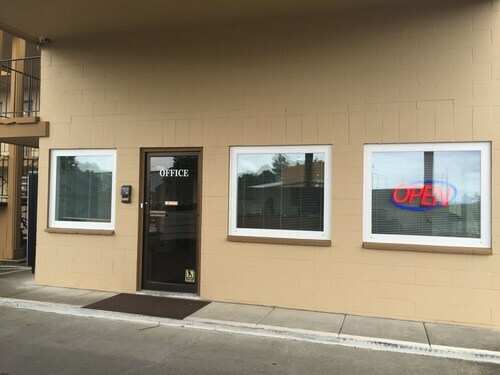 Just wanted a quiet place to stay in Blaine, and this worked out well. Older place, but the room was quite nice, so they've clearly made an effort to keep it fresh. No working air conditioners and no attempt to fix them. It was very hot that week and everyone was super uncomfortable. They just gave us a box fan and walked away. 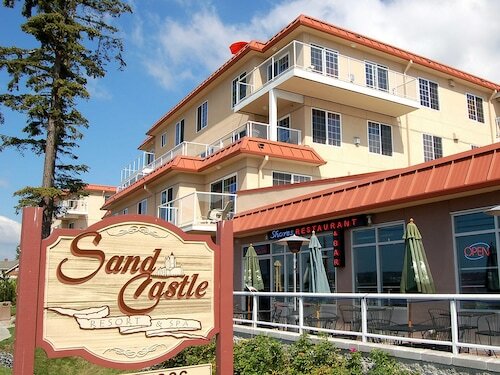 5.0 We love the Sandcastle at Birch Bay!! We wouldn't miss our yearly family time at Birch Bay. We always feel so welcome and comfortable at Raintree's Sandcastle that we're actually talking about bringing additional family members and doing Christmas at the bay...yes, the Sandcastle and beach, in December! I found some availability at this Worldmark resort, I was excited. We got up there just as the sun was setting and it was gorgeous. Though they'd put us in the wrong condo to begin, one that was used for storage, they quickly remedied that and put us in a great two bedroom. We were so comfortable. The whole place was clean and felt so welcoming. The staff was helpful and courteous. When it was time to leave, we wanted to stay longer! Ocean Front Resort ... You Will Keep Coming Back for More! Yes ...world Class FUN !